Pick up cold meds on the cheap! Pair the Advil Multi Symptom coupon and Ibotta offer to save $6 on the 20ct right now at Kroger. As low as $3.79 with coupon and Ibotta. 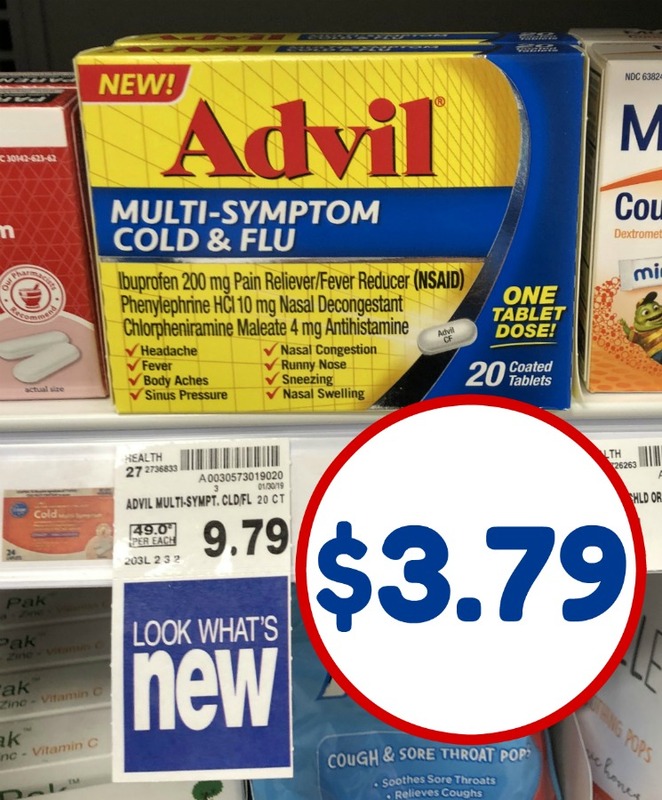 –$3/1 Advil Multi Symptom Cold and Flu (Ibotta Deposit) [20-ct. box only] –$3/1 Advil Multi Symptom Cold and Flu (SavingStar Deposit) [20-ct. box only] As low as $3.79 with coupon and Ibotta.